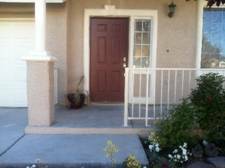 Providing House Cleaning & Handyman Services to Clark County, Nevada! Thank you for your visiting our company site! Please click here to see the Clark County, Nevada zip codes areas where we offer our Maid Cleaning Services. Home Cleaning Maid Services now available on Weekends and Same day! The housework solution for people with better things to do... people like you! Now you can come home to find everything clean and fresh. You can invite friends or family over anytime, knowing that your home is in perfect order. Every working day, in hundreds of homes across Clark County, Nevada, V&D Clean & Fix maintains an impeccable reputation for efficiency, value and integrity. We’ve created this site to provide you with a wealth of information. The best place to start is with our comparison chart which will help you quickly understand the three basic options for cleaning your home. If you’re already one of our customers, please jump to the for Regulars Only Page for special offers reserved just for you. If you’re in a hurry, simply phone us or request an online quote right now. We answer our phone during all business hours. Discover just how affordable freedom can be. After all, when it comes to housework, don’t you have better things to do? New Services! 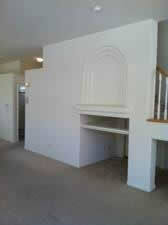 Handyman, Home Helping, Clean-Outs, Property Management. Planning to shop around? That’s what all the smart people do. Here is a check list of questions and issues to address when you interview a cleaning service. There is more to consider than you may have thought. How much does it cost? Check to see if you are in our service area, then call during business hours and we’ll give you a quick quote right over the phone. After hours, just go to our pricing page, fill out a simple form about your house, and we will phone, email, or fax, you our affordable price the next day. It varies widely, and is usually done on a cash only basis. The hidden costs are cleaning supplies and equipment, feeding them lunch, birthday gifts, holiday gifts, breakage, no-showing when you need them most, employment taxes/paperwork, and all the stress of being an employer. First leave repeated messages on their machine and hope they get back to you. If the price you finally get is significantly lower than the legitimate services, it is probably "too good to be true." Do you bring all the supplies and equipment you need. Yes. Chemicals, mops, buckets, rags, vacuums, etc. come with the team at no extra charge. Almost never. Be prepared to run out to the store the night before if you run out of something. Varies. Does the staff speak English? Absolutely. Often, but not always. Frequently not. Am I responsible to the IRS for paying payroll and other taxes? Absolutely not, we pay all appropriate taxes. You are simply our customer and not an employer. You have no responsibility to the IRS whatsoever. Yes, if you pay them more than $1,200 in a year you must file Schedule H and pay 15.3% Social Security Tax for both employer and employee. You may also have to pay additional unemployment taxes. You are only safe if they directly employ their staff and withhold payroll taxes. Be sure this is the case. This is a very important distinction. Are the cleaners direct employees or independent contractors? They are our direct payrolled employees. All payroll taxes are covered. Independent contractor. Actually, legally speaking, they are your "employee." Our surveys show that more than half the services in the yellow pages use independent contractor labor. This is contrary to IRS regulations. Are your cleaners legal to work in this country? Yes, every employee is legally documented. Since you are now an employer, it is your legal responsibility to be sure they are legal by completing an I-9 form If they are not, you are subject to fines. Only direct employees are required to provide proper documentation, but employers don’t always comply. 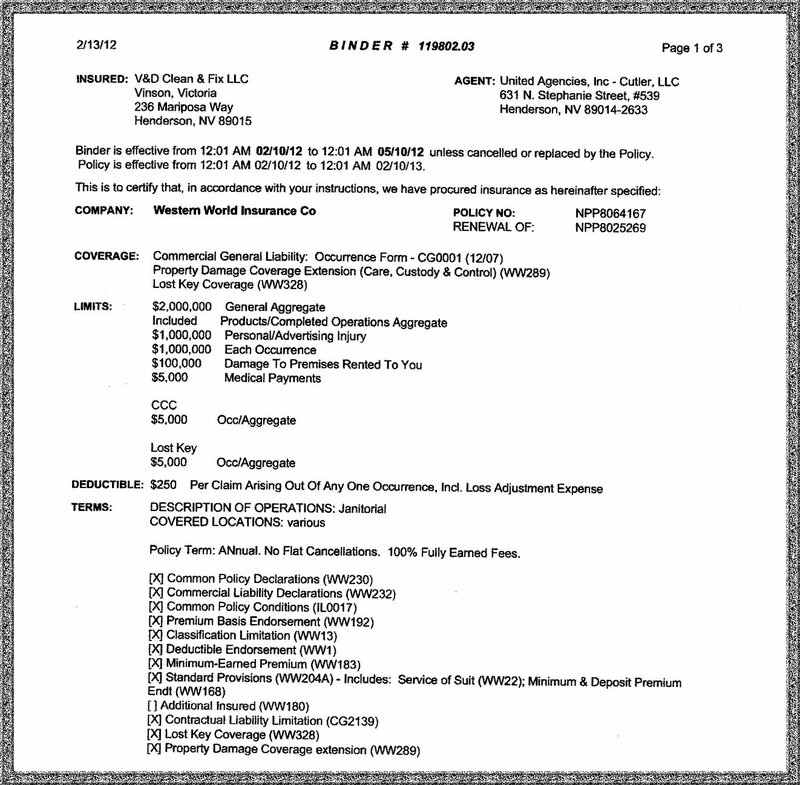 Do you carry general liability insurance to cover breakage or damage? Never Many do not. Be sure to ask. Do you use company vehicles with proper insurance? How many people come to my house? 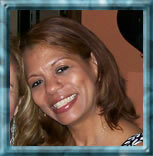 We send 2 or 3 people, providing the ideal balance of safety, security, and efficiency. Usually one, which is not safe, secure, or efficient at all. Varies from 1 to 5. More than 3 is very inefficient for small and average sized homes. How do you monitor quality? We invite you to complete our online electronic Quality Post Card. We can also address problems immediately by phone during business hours. Wait for complaints. Wait for complaints. Can you provide me with a copy of your General Liability Insurance? Certainly! Click here to see our certificate now. No way, I don’t want to pay taxes on my wages or 6.85% sales tax to Nevada. Clever operators may charge you sales tax and pocket the extra 6.85%. Be sure to ask for the proper documentation if you aren’t absolutely sure! Is all this stuff real? Does anyone ever really run into trouble over these issues? Do you remember Zoë Baird? If she hadn’t been paying cash to illegal household employees, she would have become Attorney General of the US in January 1993. If you think that was an isolated incident, what about judge Kimba Woods? Shortly after Baird withdrew, her replacement Ms. Woods withdrew her name as well, when a similar transgression was uncovered. Most recently in January 2001, Linda Chavez lost her chance to be George W Bush’s Secretary of Labor for the same reason. These were not stupid or foolish people, they just didn’t understand the implications of what they were doing. For more complete information about domestic employees, here is an explanation from the IRS. 1. Do you provide service in my area? 2. Are you accredited by the Better Business Bureau? 3. Are you licensed with the authorities in Nevada? 4. What types of insurance do you carry and how do they protect us? 5. Do you bring your own supplies and equipment? 6. Do I have to be home when you clean? 8. I’m shopping around, what questions should I ask? 10. Do I have to sign a contract? 11. What if I’m not happy with your work? 12. Can I skip or reschedule a visit? 13. Who is coming to my house? 14. Do the same people come each time? 15. Can I hire one of your employees directly? 16. What time will they be arriving? 17. How do you deal with pets? 18. Do they expect to be tipped each time? 19. What if they break something? 20. One of my regular visits is on a holiday. What happens in this case? 21. How confidential is the information you have about me? A complete list of all the towns and zip codes we currently service can be found on our Service Area page. Absolutely! Click here to visit our accreditation and our "A" rating with the Better Business Bureau website now. Are you licensed with the authorities in Nevada ? • City of Henderson Business License. What types of insurance do you carry and how do they protect us? • General liability insurance. (Always demand a certificate like this one). • Covers any breakage or other damage caused by our employees. • General policy that covers virtually all potential liabilities. • Not carried by private individuals, nor most small companies. • You strictly supply the dirt. 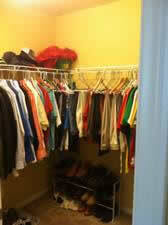 • No more running to the store for supplies the night before your cleaning is scheduled. On the contrary, the greatest luxury is leaving a dirty home in the morning, then magically discovering a spotless one when you return. Almost 90% of our regulars place a key on file with us for entry to their home. The number one reason people use our service is because they work and would rather not waste time cleaning during the little free time they have. Your key is placed on a key tag that is kept in our secure office. Your name and/or address are never attached to the key. The key to your home is issued to the supervisor of your cleaning team on the morning of your cleaning. It is then returned to the general manager that same afternoon and secured back in the lock-box. In the unlikely event that your key is ever lost or misplaced, you have double protection. The key is unlabeled, rendering it useless to the finder, plus our insurance company will cover the cost of having the locks changed at your residence, at your option. Can I get a price on the web or over the phone? After almost ten years in the business, we know what to ask, and how to give you an accurate price over the phone or via internet, without an in-home visit. Some companies insist on making an appointment to visit your home first, but this is usually just to give them the opportunity for a high-pressure sales call. If it is after our business hours, the best way to get a price is to go to the form on our Pricing Page and submit a description of your home. This will save us both some time, since it is the same list of questions we’ll ask you on the phone. 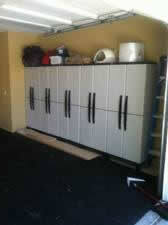 We will contact you shortly after we reopen the next day, with complete pricing information. If it is during our business hours, or you if haven’t heard back from us by 10:30 the next morning, just call us and find out just how "Affordable" we really are. I’m shopping around, what questions should I ask? Go to our Compare Page and print out a convenient guide that will allow you to make a complete evaluation of our company vs. the competition. To borrow a phrase from the great retailer Mr. Syms: "An educated consumer is our best customer." A credit card number or mailed-in deposit is required to confirm an initial visit. A cancellation charge will apply if we do not receive 24 hours’ notice of a change in date or of cancellation. Please see our Policies page for complete details. During regularly scheduled visits, after your initial visit, we accept cash, personal checks and most major credit cards. For first-time and one-time visits, we only accept cash payments, prior to beginning work. Please leave payment on the kitchen table or countertop on the day of your cleaning, if you are not at home. If you are paying with cash, please put it in an envelope labeled "Affordable". You can arrange to make credit card payments by phoning our office if it is for regular repeat visits. For maximum convenience, you may also consider paying us electronically with an online bill-pay service offered by most financial institutions. Just set up an automatic recurring payment to us, scheduled with the same frequency as our visits, and timed to reach us two days before your cleaning. This way there’s one less thing to remember to do. If you forget to leave us a check, we will usually clean your home and leave an invoice with a $5 additional billing fee. Please see our Policies page for more details. Never. On the initial visit we do require you to sign a copy of our basic terms and conditions, but you are never committed to continue service beyond that day’s visit. If you encounter a company requiring a contract, our advice is to "run screaming in the opposite direction." All our work is guaranteed. We have a comprehensive quality system designed to keep you satisfied, both now, and in the future. In fact, this is so important to us that we’ve created a special Quality page to explain it in detail. Can I skip or reschedule a visit? Absolutely. 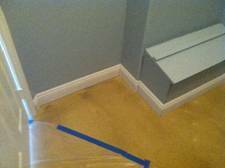 If the painters are coming on our scheduled day, just call us and we will move your visit to a day that’s more convenient for you. There is no service charge, provided you call us before noon on the business day before our visit. Be sure to ask us for a confirmation number when making changes to avoid any misunderstandings later. Who is coming to my house? People that are our direct, insured and bonded employees. They have been background screened and have completed our comprehensive training program which includes numerous instructional videos and significant on-the-job training with a seasoned staff member. Do the same people come each time? We always want to send the same people. They are the ones that know you and your home best. We can accomplish this the majority of the time, but illnesses or natural staff turnover may necessitate that we substitute a member of the team or, on rare occasion, send a different team altogether. Not only do you get the people you’re accustomed to, but you know you won’t be stood-up the day before Thanksgiving because the cleaning lady is sick. Can I hire one of your employees directly? Under our terms and conditions, you agree not to hire a present or past employee of ours. Please don’t embarrass our staff by suggesting such an arrangement. All employees have, upon being hired, entered into a contract with us, barring them from accepting employment from any current of former customers of the company. If you do decide to employ such a staff member, our referral fee is $3,000. We consider our employees our most valuable asset and charge accordingly. See the our Policies page for details. What time will they be arriving? Because we never know how long it will take to complete a home, we are unable to commit to a specific time of arrival. Should you wish to be home during cleaning, we will make every effort to accommodate your schedule. If you would like an estimated time of arrival, simply call us after 8:15AM on the day of your cleaning. How do you deal with pets? Cats are not a problem. We take great care to ensure that indoor cats stay indoors. Dogs are a little more difficult. Most dog owners will assure us that they would never hurt anyone, and this is generally true when the owner is present. Unfortunately, they often behave quite differently when the owner is not there and strangers are "invading" their territory. Many of our key entry customers have dogs, but are able to minimize the risk to our staff by confining them to an area not being cleaned, such as the basement, garage, spare bedroom, or kennel. Do they expect to be tipped each time? No. While someone having a special one-time major cleaning may choose to offer a gratuity for exemplary service, the majority of our long-term regulars choose to give their team members a modest annual gratuity around the holidays. This is totally at your discretion and is never expected or required. On occasion, accidents do occur. Our insurance carriers will handle any major losses, while we usually handle minor mishaps directly. The most tragic possible loss is breaking something of high sentimental, but low monetary value. Please endeavor to be safe, rather than sorry, with such items and store them away on cleaning day, or instruct us which items to bypass while dusting. One of my regular visits is on a holiday. What happens in this case? Sometimes we also close on Boxing Day (December 26), but not every year. We will send you a notice two to six weeks before a visit that falls on a holiday, advising you to which day your visit has been rescheduled. We do this to best match customer preferences as to team and time restrictions. Is the personal information I provide you confidential? What make this such a great gift? • Perfect for almost any occasion. • How much you spend is confidential. 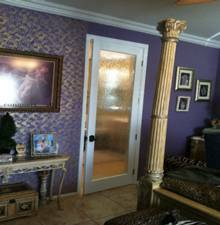 • Our certificates can be denominated in either dollars or cleaning time. There is no need to divulge how much you spent. • They can be picked up at our office in Henderson during our regular office hours. 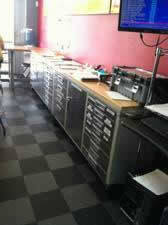 Please call us at 702-445-1642 before you arrive and we will have everything ready and waiting for you. • We can mail them to you. • We can send them via overnight mail. (FedEx charges are additional). • Something the recipient will use and enjoy. • 85% of the certificates we issue are redeemed within three months. • 96% are redeemed within six months. • Our team supervisors frequently comment on how thrilled people are, when using our certificates, to have received such a thoughtful gift. • We have many repeat certificate customers. • Many recipients are so happy with the gift they have received that they go on to arrange their own regular service with us. • A range of prices and terms available to suit any budget. 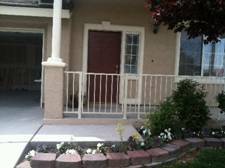 • One-time cleanings for a small to average house start well under $100. • Some people purchase a regular service (weekly, bi-weekly or monthly) for their spouse, parents, or children. This could be for a short period of time or for an indefinite period. • Gifts for regular services are paid as-you-go. No large upfront payment is required, allowing you to stop service if you move or your circumstances change. • Special discounts off the face value are available exclusively to our existing regular customers. We now offer our House Cleaning Maid Service to Zip Codes within Clark County, Nevada. Of course we guarantee our work and we have a unique Quality Post Card feedback system, but the scenario below best illustrates our professional approach to resolving problems and providing consistent quality over time. You had your third housecleaning today and you discover a problem when you arrive home. The bathroom mirror is streaky and they didn’t clean the floor behind the toilet. Anxiety sets in. 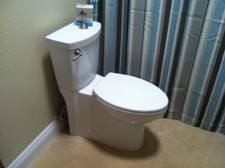 You have company coming in a few days and, while it’s not a big deal, you don’t want to clean a bathroom you just paid someone else to clean. What should you do? The simple answer is to just call us. But you hesitate... you tried that with the last service company you had, and you left six different messages and missed the call the one time they called you back. When you finally did speak with them, they became very defensive and made you feel like a whiner. On top of all that, you kept having the same problems on future cleanings. Will we ever leave a mirror streaky? Sooner or later we probably will. Of course our staff is pre-screened, well trained, and well supervised to minimize such things, but they are human, and as such, will make the occasional mistake. When we do make a mistake, call us within 24 hours. Unlike 95% of the companies in the yellow pages, we answer the phone during business hours. You won’t hear excuses. What you will hear is an apology. 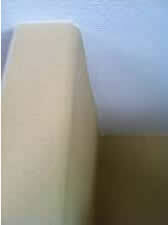 Then we will dispatch a team, the next business day, to re-clean the area that was not done properly, all at no charge. Just complete our online electronic Quality Post Card. We don’t know how to make it any easier for you. The payback for you is consistent high quality cleanings. But please note that it is unfair to the team if you only submit the electronic Quality Post Card back when you find a problem. They get monthly quality bonus checks based on their grade point averages. Responding by submitting the electronic Quality Post Card is like giving them a big tip, but with our money. It also provides a powerful incentive for the staff to understand and please each of our customers. We are proud of the fact that very few customers cancel our service due to problems with the quality of our work. Sadly almost all such cancellations come from customers who rarely or never submitted their electronic Quality Post Cards. 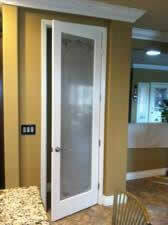 Your privacy is a primary concern to us at V&D Clean & Fix. We provide you this policy on the collection and use of customer information to ensure a high level of security and confidentiality. When you provide your personal information to us (such as your name, address, phone number, email, etc. ), that information will NOT be sold, distributed, used, or given to any other company or individual for use in marketing or solicitation. 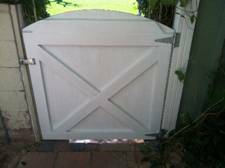 We will maintain the confidentiality of your personal information and it will be used only to support your customer relationship with V&D Clean & Fix, LLC. Our website currently does not employ "cookies." It is possible we could decide to use them in the future to improve the usability of the site. Should that ever be the case, any information gathered via a "cookie" will not be shown, sold, distributed, used, or given to any other company or individual for their use. They would be used only to gather browser and access statistical information, and would be kept strictly confidential. If you have any questions regarding our policy, please click to email our webmaster at . • Payment is due at the time of service in the form of cash, check or major credit card. All first-time visits are on a cash-in-advance basis only. • You agree that we guarantee only to correct any problems reported to us within 24 hours, by returning to the home within two business days to correct the problem. Furthermore, you waive your right to stop payment on your check or protest a credit card charge unless we fail to make good on this guarantee. • There is a $5 fee if you neglect to leave payment and we, at our discretion, complete the cleaning and leave you an invoice. • There is a $25 fee for any check that is returned by your bank. If your bank is in error, they should reimburse you for this expense. • There is a 50% (minimum $40) late cancellation/lock-out fee for canceling or rescheduling a visit after 12:00 noon the business day before the visit. 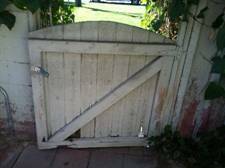 The same fee applies if we are unable to gain access to your home, through no fault of ours. In case of a dispute, you must provide the confirmation number we provide all customers when they make any changes to their schedule. • If you have been a customer for less than three cleanings, or your account is not current, or we strongly suspect you did not expect us to clean that day, we reserve the right to not clean your home and invoice you or charge your credit card for our standard 50% ($40 minimum) of the lock-out fee. There is a $75 fee, plus any attorney’s fees, in addition to the balance due, for any account that we must refer for collection. • You are liable for an employment referral fee of $3,000.00 per person, should you directly employ (either legally or on a cash basis) anyone currently employed by us, or employed by us within the six month period prior to such employment. You agree to pay this fee whether you notify us of your action or we discover this employment independently at any time after it occurs. You further agree to reimburse us for any and all collection or legal fees we incur in collecting this fee. If it’s after-hours, you can save some time by completing the form below with all the information for which we’d normally ask you. We will work up a price, then phone, fax, or email you with the information you need. It’s usually best to request that we call you back during our business hours. Sometimes we need a little clarification, and this gives us the opportunity to respond to any other questions you may have. Please note that only your initial cleaning will be charged on an hourly (per maid, per hour) basis. The first visit usually runs a little bit more, and typically depends on the level of "catch-up" work required and any special jobs you want accomplished during that first visit. You pay only for the time we spend inside your home. After the house has been thoroughly cleaned, we begin our regular "flat price" service. There is no charge for travel, equipment, or supplies. If you phone us, we can usually let you know the approximate cost of this visit, simply by discussing your environment together. This page is provided exclusively for our regular customers. Discounts available only to our regular customers. Request a change to your schedule and receive your confirmation number by email. Send back an electronic Quality Post Card. Send us a simple message. Discounts for our current regular customers only - more customer appreciation programs are coming soon!! Regular customers are our life blood... they are the very foundation of our business. Therefore it is only appropriate to have a special page for these special people, with special offers and services, just for them. To take advantage of these offers you must be a current regular customer for whom we have completed two or more cleanings, with an active cleaning schedule of weekly, every 2 weeks, or every 4 weeks. Will-call customers who have had 3 or more cleanings in the last 6 months also qualify for these special programs. Regular customers receive a 10% discount on all pre-paid gift certificates, with a maximum discount of $50 on certificates of $500 or more. Please note that the purchased gift certificates are non-transferable; you must specify the name and house address of the recipient at the time of purchase. There is no limit to the number of discounted certificates you may purchase, provided they are each for a new service address. These discounted gift certificates are only good for home addresses that we have never before cleaned. No coupons or other discounts may be combined with the purchase or use of these gift certificates. Just enter your name and email address into our coupon request form and we will contact you as quickly as possible. Click to access our coupon request form, then request a Discount Coupon for a friend for whom we have never cleaned, and we will email that Discount Coupon to you, marked as a referral from you. Our current offer is "$10 off your first cleaning -OR- get your 4th weekly or bi-weekly regular visit at half price!" You will receive a $10 credit on your account when your friend redeems the coupon for their one-time visit. Better yet, if they book regular service with us and redeem it for a half-price fourth cleaning, you will receive an equal credit on your own account. There is no limit to the number of referral coupons you can give away. Just print multiple copies of the coupon we send you. If the coupons pass their expiration date, simply submit another request and we’ll send you a current referral coupon. There is no limit to the dollar amount of credits you can receive. And of course... this is our way of saying "thank you for the referral!" My name is Victoria and I’m here to make your life easier! Online Communication Options... for Everyone! Plus... for our Regular Customers only! Green Cleaning is using cleaning products that don’t endanger you, children, pets or the environment. This is especially important for people who have asthma. Standard commercial cleaning products often contain irritants that can trigger an asthma episode. The Green Cleaning Services recommended here offer the green cleaning methods for your home or business. Did you know that the EPA has determined that the air inside your home may be two to five more times polluted than the air outside? Dust, pollen, mold, bacteria and toxic chemicals may have your family living in a fog of pollution. With a few simple tips and minor changes our cleaning products and routines could make a dramatic and positive impact on the health of your home, family and pets. What is Green Cleaning? Twenty years ago it seemed the environmental movement was just a fad, peaked and disappeared. Unfortunately, increasingly poor indoor environmental quality has had a major impact on business, education and our daily lives. Increases in childhood asthma, falling test scores, student absenteeism, employee sick time and lower productivity all have some basis in poor indoor environmental quality. The choices we make in cleaning products, equipment, systems and procedures affect our economy on our lives. Green Cleaning is not about simply replacing your current product with a milder cleaner. Green Cleaning is about examining your entire process of cleaning, identifying the areas that can be improved, developing a plan and procedures to implement the plan, executing the plan and measuring the results. A properly designed and implemented plan will have positive impact on the cleanliness of your facility and the health of its occupants. 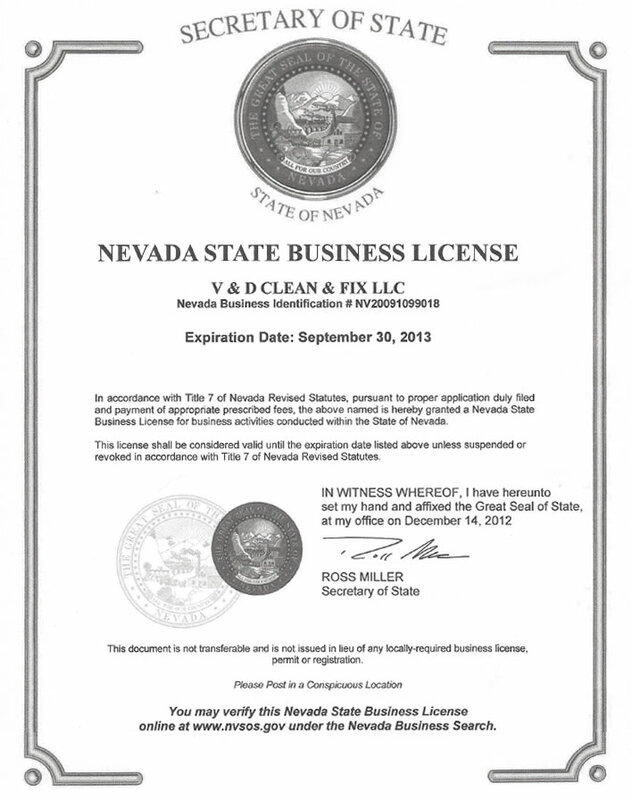 Let V&D Clean & Fix implement that plan for your home in Nevada. The following green cleaning tips will help keep your home clean while keeping it safe for your family. Contact us today to see how we can help implement a green cleaning plan. Clean your toilet the right way. Sprinkle a little baking soda into the bowl, add vinegar and scrub till you can’t scrub anymore. The baking soda and vinegar will clean and deodorize. For tough stains, use borax and let sit over night. Scrub and flush the next morning and you’ll be good to go! No pun intended. The weaves of old dryer sheets as well as spare socks are great for dusting wood surfaces. Just use a teaspoon of lemon oil to 1 cup of vegetable oil and you have a great furniture polish. Just apply with a clean dry cloth. Looking for an all natural, green, all-purpose cleaner? In Clean House, Clean Planet author Karen Logan offers a great solution. Simply add 2 tablespoons of white vinegar and one teaspoon of borax to a 16 ounce spray bottle. Fill with hot water and shake well. After all of the borax has dissolved add 1/4 cup of liquid castile soap. If you’d like to scent your all purpose cleaner, you can also add 10 to 15 drops of an essential oil of your choice and voila! You have what Karen likes to call "Alice’s Wonder Spray." Try cleaning your house with something called liquid castile soap. It’s an all-purpose cleaner, grease-cutter and disinfectant. What makes it green is that it’s soap that’s vegetable-based, not animal-fat-based. Castile soaps are also sometimes referred to as seafarer’s soap because of its broad range of uses and it’s history dates back to the 1600’s. 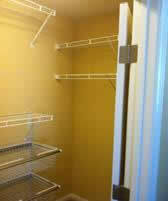 One of the hardest things to clean in your home is your refrigerator. Cleaning the fridge with chemicals could lead to an unnatural smell that could be absorbed by your foods. While baking soda is great for absorbing the smells, it’s also great for cleaning it! Before putting the baking soda box in the fridge, try cleaning with it! Baking soda works as a gentle scouring powder perfect for removing that spilled pasta sauce. Author and editor Annie Bond recommends cleaning bold with hydrogen peroxide or white vinegar. Simple add 1/2 cup of either of these products to one cup of water. Spray on mold, but do not rinse. Before you know it, your mold is gone and you can take a shower again. Is it a window cleaning day for you? Here’s a great way to make your windows shine. Simply add 1 teaspoon of lemon juice to a spray bottle of fresh club soda. Spray on the window and use a cotton rag to wipe clean. Here’s some great ways to stay green and save money while you’re at it ... for example why not wash all your clothes in cold water. They out just as clean and you’re not wasting energy heating all that water. Another example is buy some house plants! They are a great way to clean the air and provide a little of that fresh oxygen we all need. Here’s a great tip for an all natural air freshener for the room that might need it the most: the bathroom! Simply add a drop of two of your favorite essential oils on the inside of the toilet paper roll. With each pull of the T.P. you’ll get a fresh scent of your favorite essential oil. According to Green This! by Deirdre Imus, peppermint oil and vinegar can combat ants, dust mites and even bed bugs! Combine with distilled water in a bottle and spray where needed ... just remember peppermint oil is very strong, so be sure you dilute it sufficiently. Here’s a quick tip for cleaning linoleum floors. Simply add a half cup of white vinegar to your bucket and mop as you normally would. If there’s a vinegar smell when you’re done, don’t worry! The odor should go away shortly after the floor dries. 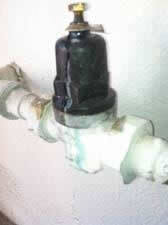 Here’s a quick green tip for a clogged drain. Simply pour a half cup of baking soda down the drain. Then add a half cup of vinegar and let it fizzle for a few minutes. Top it off by emptying a full kettle of boiling water down the drain. 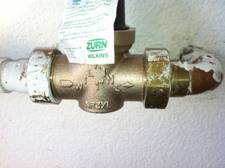 This will help keep your pipes clean and help prevent future clogs. Tea tree can be expensive, but a small amount can last you a long time. Try mixing two tablespoons of tea tree extract with two cups of water and use the moisture on any moldy surface. The mixture has an indefinite shelf life, so you can it for years to come! Are you a "morning joe" type of person? Clean your coffee maker the all-natural way. Simply run a pot of half vinegar, half water through your coffee maker. Be sure to follow that up with two pots of just water or you’re in for a rude awakening the following morning. If you’re in the market for a vacuum, check out vacuum’s with a HEPA seal. HEPA vacuums have a patented filtration system that captures 99.97% of all particles that pass through it. 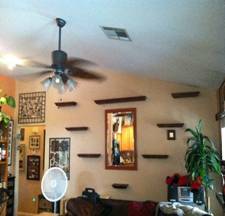 This is a great way to keep your home clean of dust and mold particles. Use a paste of baking soda and water to get rid of black heel marks on your floor. If you have a little tike who tikes to write on the walls, use toothpaste to get rid of crayon marks on the walls. Note that this method will not work well on wallpaper or on porous surfaces. We are green because we are concerned about your health and well-being. The Federal Environmental Protection Agency (FDA) has found that airborne chemical levels in homes were as much as 70% higher inside than outside. That doctors have concluded that there is a definite connection between our health and the use of everyday common household cleaning chemicals. Alexandra Rome the co-director of the Sustainable Futures Group at Commonweal. "In 1998 industries reported manufacturing 6.5 trillion pounds of 9,000 different chemicals, and in 2,000, major American companies- not even counting the smaller ones- dumped 7.1 billion pounds of 650 different industrial chemicals into our air and water. We can seldom link health problems to specific exposures, the science is not yet available for that. But the prevalance of many illnesses and diseases- including cancers, birth defects and reproductive system defects asthma and attention deficit disorder is on the rise, and environmental factors may play a significient role in these increases. More than 50 of the chemicals,that I tested were positive and known to have harmful effects on the immune and cardiac systems" And she goes on. Green cleaning is effective cleaning which protects health without harming the environment. Green cleaning can play a key role in facilities maintenance, where a clean, attractive, healthy work environment is essential in attracting and retaining customers and occupants. Being environmentally responsible means using the least toxic products, equipment and procedures available. Your V&D Clean & Fix Team will clean and maintain your facility with these considerations in mind - every day, every time, every job. We believe that when it comes to facility maintenance, one size does not fit all. First, your V&D Clean & Fix cleaning team will provide a free evaluation of your home and determine the most appropriate green products and services to address your particular situation. 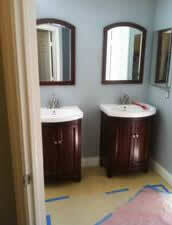 V&D Clean & Fix pays attention to the details, cleaning your home the way you would, if you had the time. Plus you can relax, knowing that all of our cleaning professionals have undergone extensive training and are fully bonded and insured. Receive your free cleaning estimate today! We utilize earth friendly products to help make our world safer for you and your family members . Some of the products we use are microfiber cloths, to help cut down on the over use of trees, certified green chemicals to help with the indoor air quality in your building and vacuums with hepa filters. In addition to cleaning wood floors, Murphy Oil Soap makes a great laundry pre-spotter, especially on organic stains like grass or blood. Wet washable, colorfast fabric, add a drop of Murphy directly to the stain, squish through the fabric and wash as usual. No need to wax.. Just sweep and mop on a regular basis and they stay clean and shiny. Mop floors with clear water or just a dash of liquid dish soap. Be sure to change the water when it gets cloudy. Too much soap or dirty water will make floors dull or sticky. Don’t use scrub pads on ceramic tile floors or you might scratch them. Our professional cleaners wash most floors by hand, cleaning and drying a small area at a time. Old grout may need cleaning with a wax stripper or heavy-duty cleaner plus a grout brush. Use a bleaching cleanser on tough spots. Once the grout is as clean as you can get it, rinse it well. When it’s thoroughly dry, apply a coat of masonry sealer so that it doesn’t absorb dirt in the future. For mildewed grout in tubs or showers, use a grout brush with a 1:5 solution of chlorine bleach and water. Never use bleach in combination with any ammonia-based product and be sure the area is well-ventilated. When you’ve finished cleaning, rinse the area well to remove all traces of bleach. Clean colored grout with a heavy-duty cleaner and a grout brush, but don’t use bleach because this may remove the color from the grout. Be sure never to use a bleaching solution on colored grout. A masonry sealer can be applied to clean, colored grout to ward off future stains. 1. 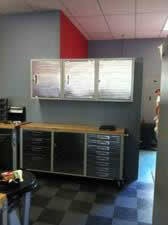 Baked enamel (most appliance finishes), epoxy enamel and automotive paints. These paints are durable and stain-resistant. Dirt typically cannot penetrate the hard finish. These surfaces can withstand scouring with mild abrasives, and can also handle heavy-duty cleaners and degreasers. With these finishes, be most careful of scratching or dulling the finish by using harsh abrasives, steel wool, colored scrub pads and strong solvents. To remove pet hair from fabric or upholstery, try a pet rake (a brush with crimped nylon bristles), velour brush, tape roller or even tape wrapped around your hand. Use light, even strokes to remove the hair. Another option is to try the rubber bottom on a clean tennis shoe or a slightly dampened sponge (as long as the dampness won’t harm the upholstery). To remove pet hair from carpet, use a vacuum with a good beater brush or brush roll. Plain vacuums don’t generate enough lift to remove all the pet hair from the floor. Another option for both upholstery and carpets - especially at the edges where pet hair tends to collect and vacuums have a hard time reaching - is a "pet sponge." These sponges, which are used dry, are available at pet supply stores. For fresh stains, apply a bacteria/enzyme digester from a pet store, following the directions - it’s the only way to deal effectively with both the stain and the odor. Bacteria/enzyme digesters work slowly, so leave the solution on as long as the directions say. 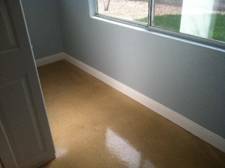 Urine has probably penetrated into the carpet and pad, so use enough solution to reach as far down as the stain. Apply the solution, put plastic over it, and step on the spot several times until the area is well saturated. Then, leave the plastic on the whole time the digester is working to make sure the spot doesn’t dry out. Old or dry stains are hard - sometimes even impossible - to remove, but try the bacteria/enzyme digester. If it’s a popular accident site, the bacteria may produce enough ammonia in the course of breaking down the stains to create a super-alkaline situation that interferes with its own action. In this case, you may need to neutralize the spot after the digester has been working for about four hours. Mix a solution of one cup of vinegar to a gallon of warm water. Rinse the area with this solution and apply a fresh batch of bacteria/enzyme solution. The earlier you attack this problem, the easier it will be to remove the ring. A thorough cleaning with a commercial acid-based bowl cleaner may do the trick. If the bowl cleaner doesn’t work, try using a green, nylon-backed scrub sponge along with the acid. For an old ring, use a pumice stone. Wet the stone with the water in the bowl and rub it on the ringKeep the stone wet the entire time you’re scrubbing. Pumice stones should only be used on vitreous china toilets - never on colored, enamel or plastic fixtures. Once you’ve gotten rid of a ring, weekly cleanings should keep it from coming back. 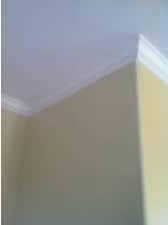 V&D Clean & Fix provides carpet and upholstery cleaning. 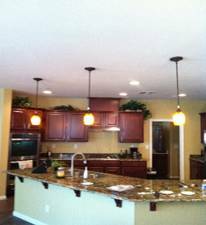 Please contact us for details or to schedule a special cleaning visit. V&D Clean & Fix routinely dusts and applies lemon oil to wood furniture. 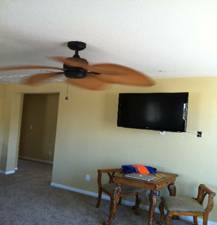 We suggest you visit Furniture Medic, a furniture repair and restoration company. If you have questions about furniture restoration or repair, please feel free to visit the Furniture Medic web site for expert advice. V&D Clean & Fix doesn’t provide laundry service, so we can’t expertly address stains you find on fabrics. However, if you phone us we can suggest a web site that may be able to help you. Because marble and granite are sensitive and porous, they need to be cleaned with a neutral cleaner solution and then polished dry. Scratched and dull surfaces can be revived with a marble restorer (available from janitorial supply stores). Most cabinets are factory manufactured and finished, and even wood cabinets have enough varnish or other protective coating so that you can use a cleaning solution. The oil slick that builds up on cabinets - especially around the handles - is a combination of kitchen grease, food smears, skin oil and hand lotion transferred to the cabinet. All-purpose cleaners aren’t equal to the challenge. First, make sure the floor around the fireplace is well covered with dropcloths. Mix a solution of high-alkaline cleaner and one ounce of chlorine bleach per gallon of warm water. . Wet the surface of the fireplace well with the solution, but don’t use so much that it runs. Dirty water running down the face may cause hard-to-remove streaks. Then scrub the solution in with a brush. You should see the suds getting dark and dirty as the buildup comes off. Rinse well. If the surface is shadowy, a light cleaning with a phosphoric acid cleaner may be enough to brighten it the rest of the way. Don’t use any acid stronger than phosphoric as it will damage the brick or stone. The best way to clean windows, or any large expanse of glass, is with a squeegee. It does a faster and better job. You need a professional-quality squeegee and a window wand. 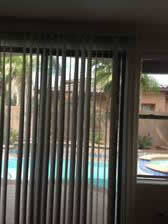 If you’ll be cleaning high windows, you also will need an extension pole. The basic process is simple - apply the cleaning solution with the window wand and pull the dirt and water off with the squeegee. 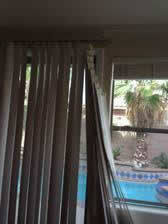 Also, make sure you let the sun in to help dissipate smoke and other odors as you try to eliminate the cause. Try to increase air flow by opening windows, turning on fans or even putting particularly smelly items outside for awhile. You can fill small dishes with vanilla, vinegar or activated charcoal for an easy, inexpensive smoke eater. Or, you can purchase odor neutralizer from a janitorial supply house which will work more effectively. 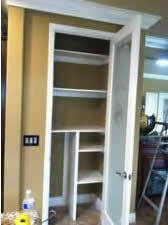 We Offer Complete Handyman Services! 50% Off Your First Cleaning! Congratulations - you found our flyer! That means we'll give you 50% off your first regular cleaning... just complete our form and hit Submit. A Few of My Favorite Bathroom Formulas! Mix ingredients to make a foamy paste. This basic recipe also works for unclogging a kitchen sink so assume that your plumbing will get a good cleanse as well. Add the essential oil and the white vinegar to the pitcher or bowl. Add the baking soda - it will grow quickly, so you might want to do this near the toilet. Once you drop the contents into it, the bowl fills up with foamy concoction. Let it sit for awhile, give the bowl a good scrub with the brush, then flush it down and clean the pipes too! Note: If you have serious stains or rust, empty water out of bowl and scrub with a pumice stone. When wet, the stone will not scratch the porcelain. In a bowl, combine the baking soda and castile soap. Add the vinegar and essential oil. The consistency should be a soft paste. Store in on airtight container.